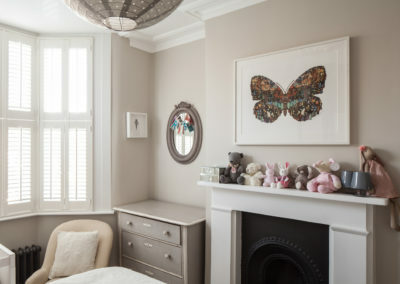 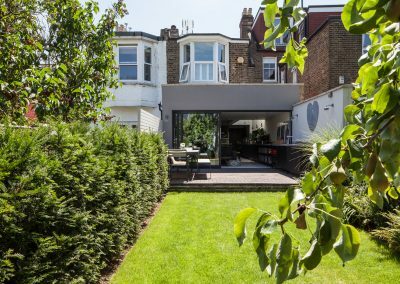 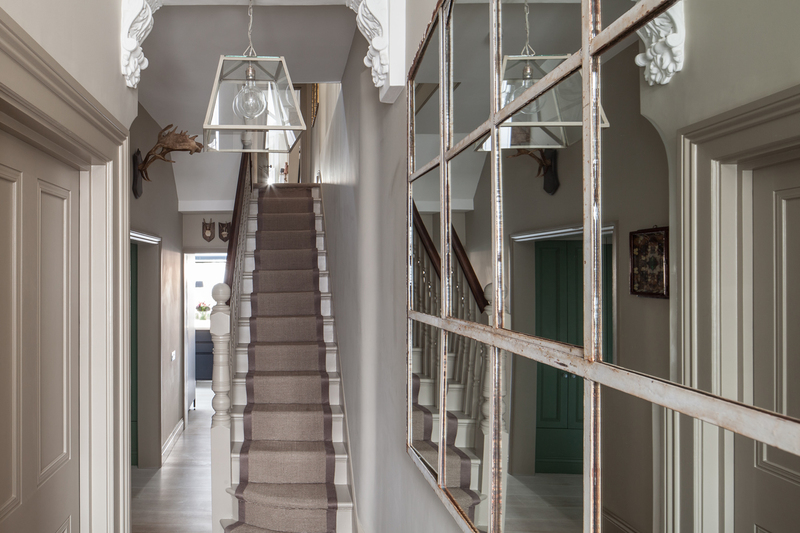 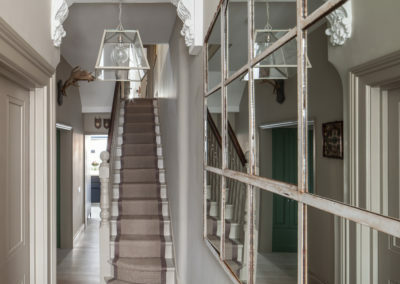 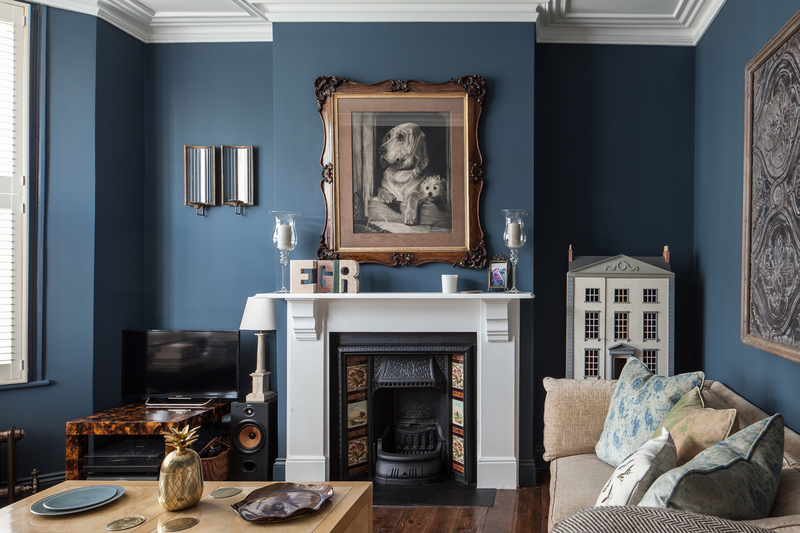 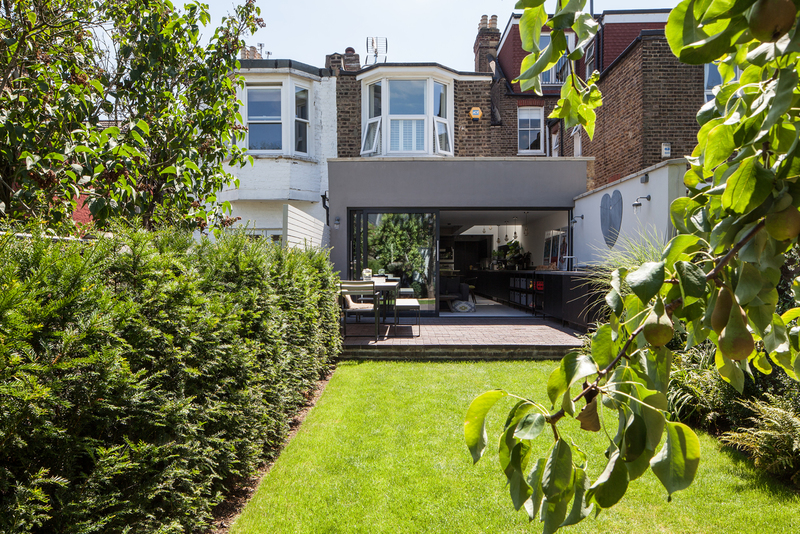 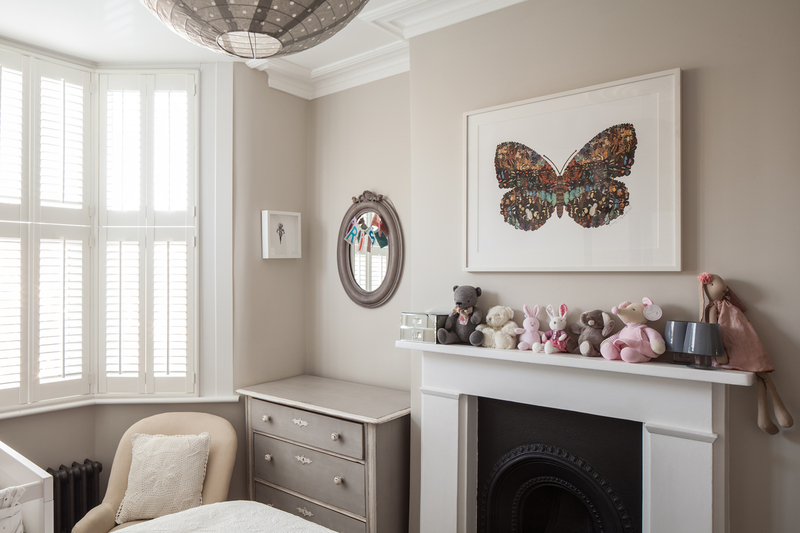 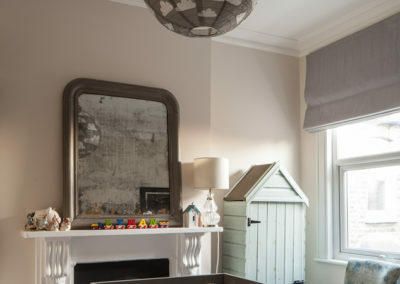 A two storey Victorian terraced house was extended and fully renovated to create a home for a young family. 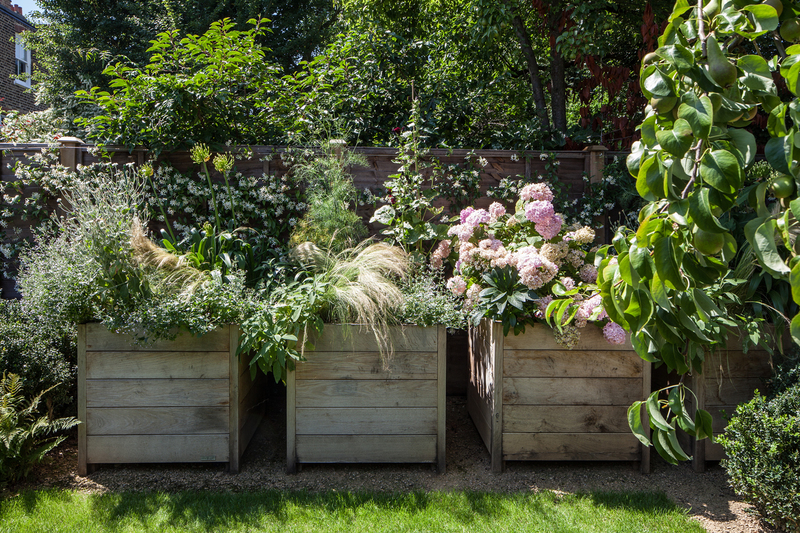 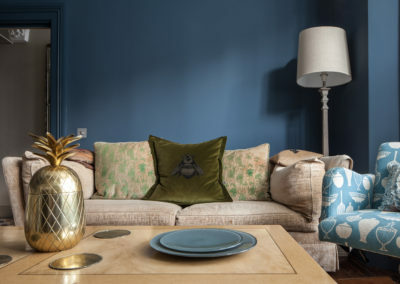 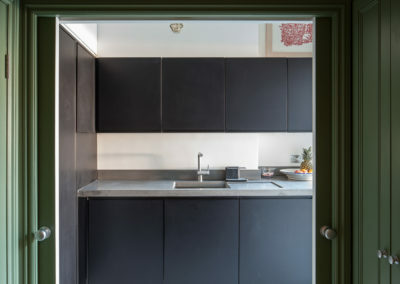 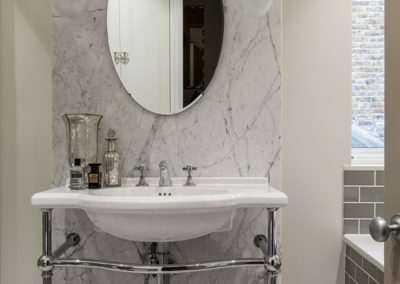 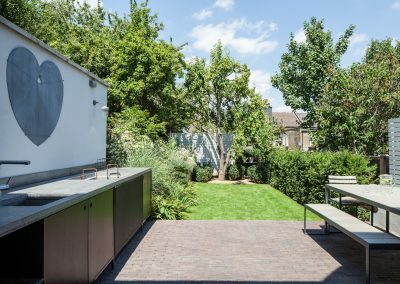 The former rear reception room accommodates an open plan Cloak Room and Utility Space, which is connected to the kitchen by a 16m long concrete worktop that continues into the garden. 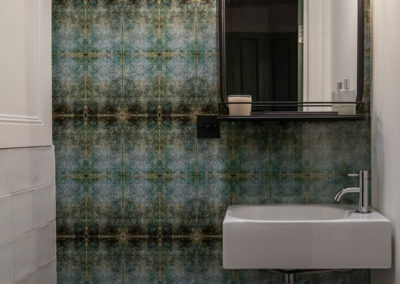 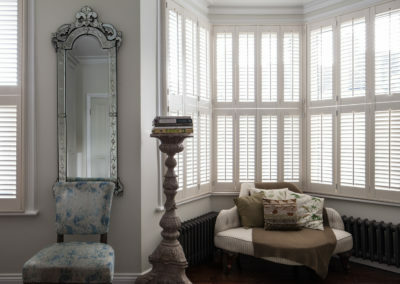 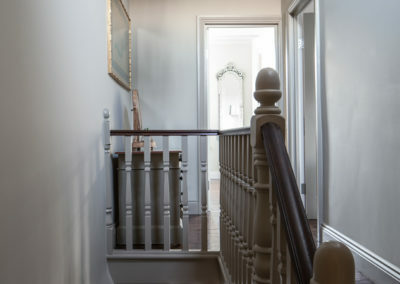 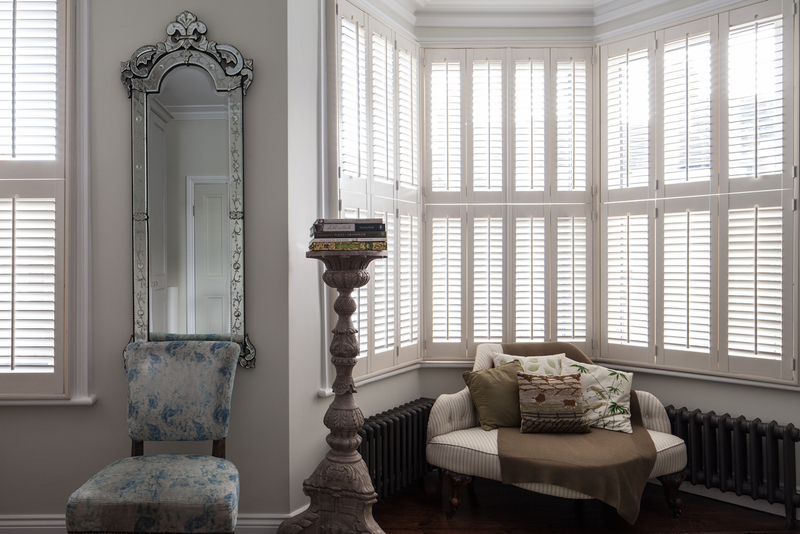 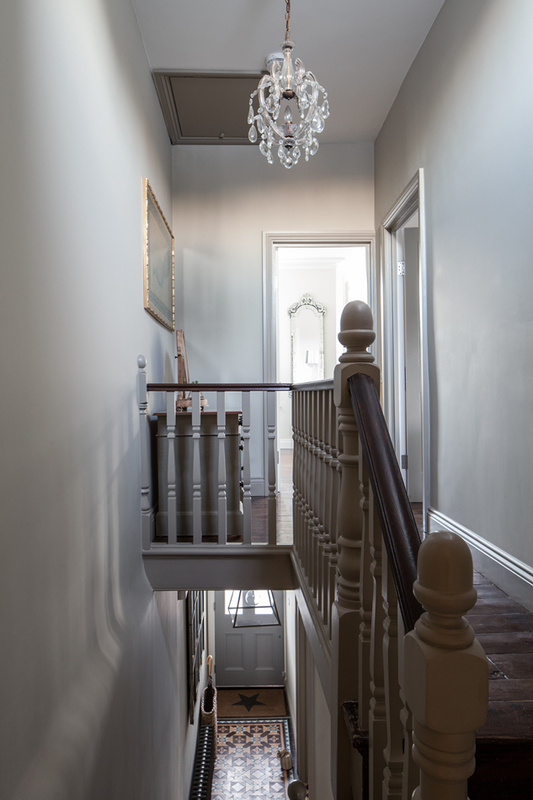 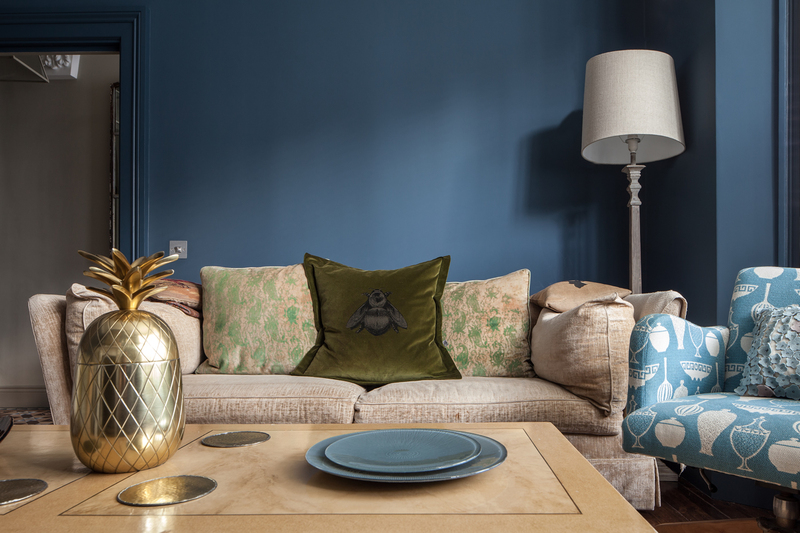 The renovation of the existing property retains original features and employs complementary period fittings. 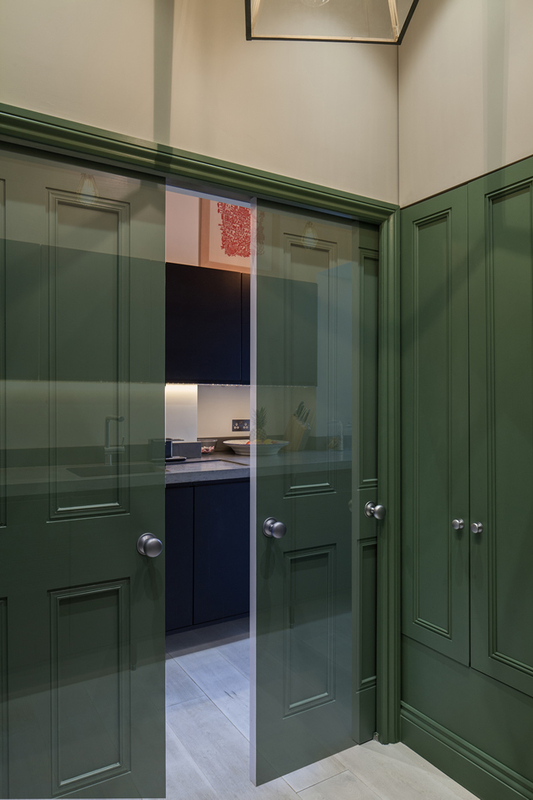 Panelled sliding doors between the Cloak Room and Utility Space mark the boundary between the traditional styling and contemporary kitchen dinner. 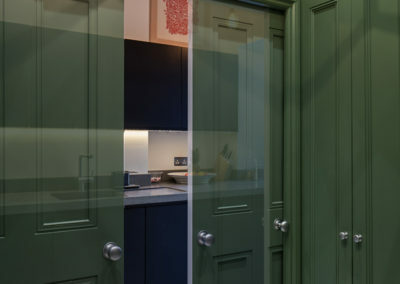 These doors provide separation when the open plan arrangement is not desirable. 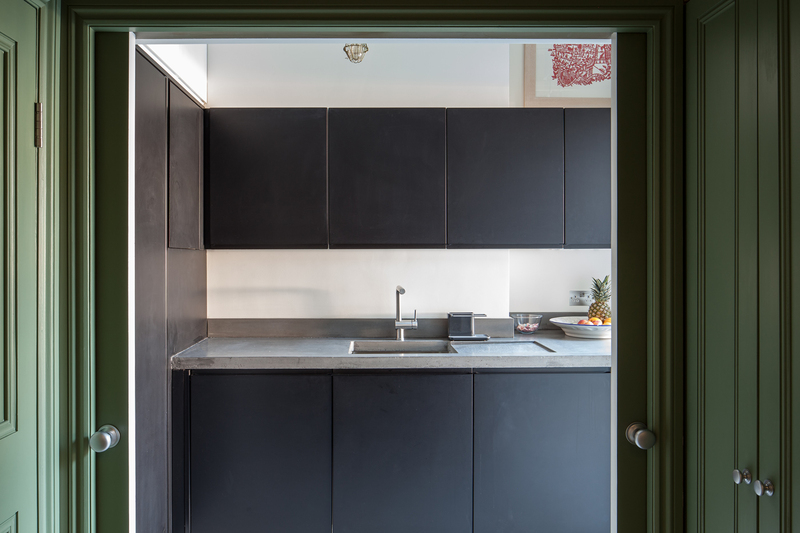 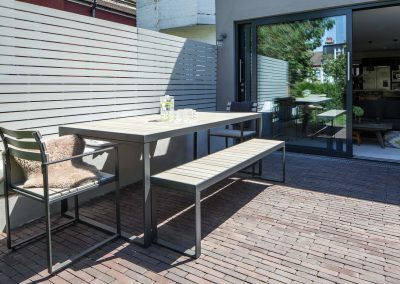 The kitchen is supported with a delicate steel frame which contrasts the solidity of the concrete worktop. 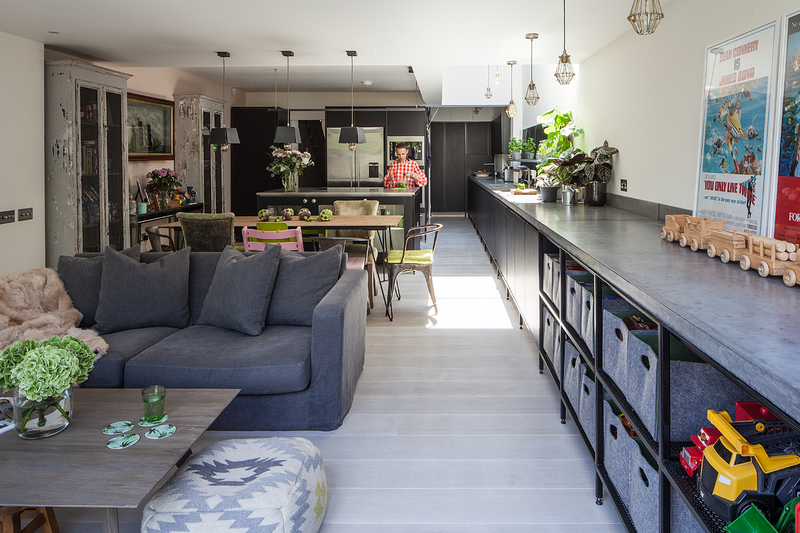 A stainless steel worktop complements the ovens and fridge behind and sets the island apart from the concrete element. 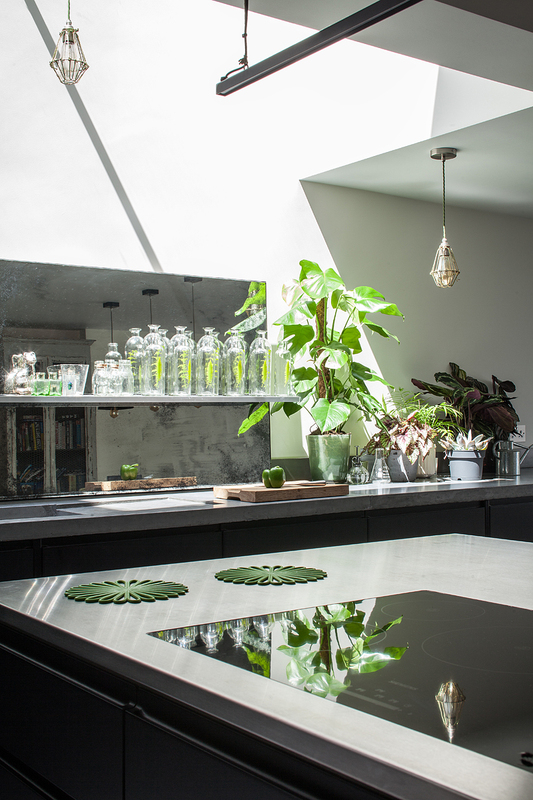 An antique mirror splash back behind the sinks and beneath the large roof window reflects light deep into the kitchen. 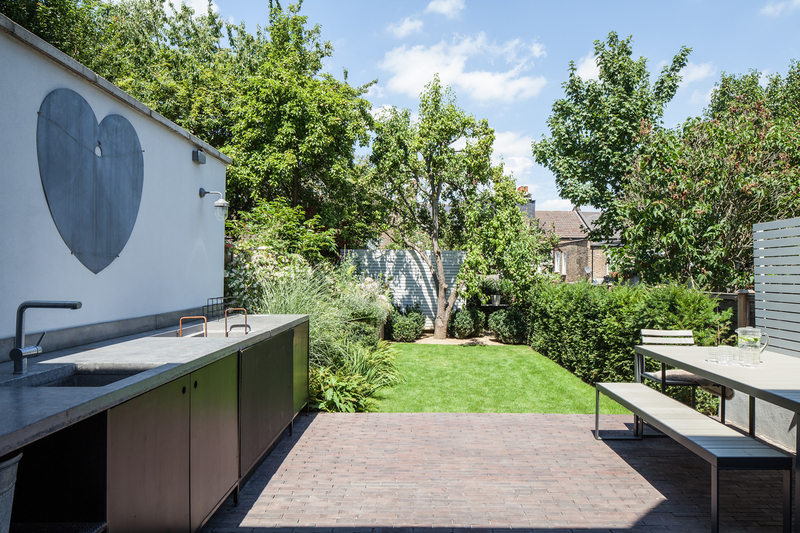 We hired Trevor as our architect to oversee our whole project from concept, planning, detailed design and project management – it was the best decision we made! 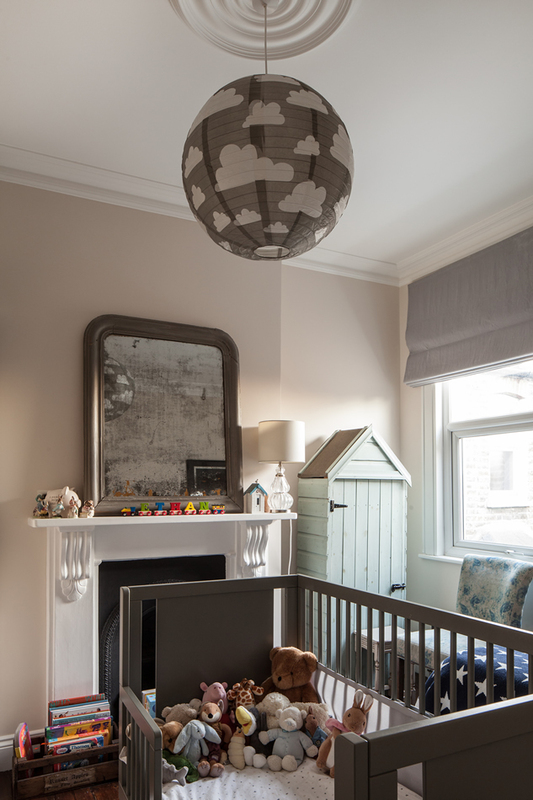 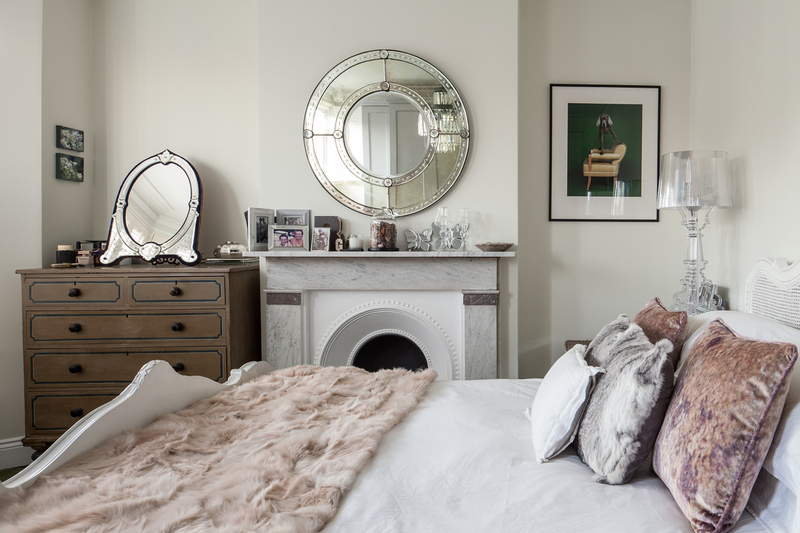 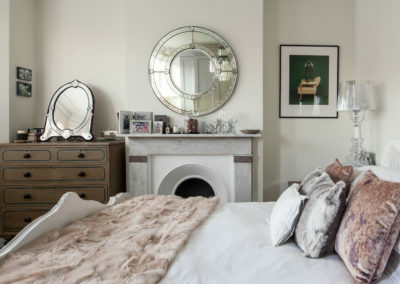 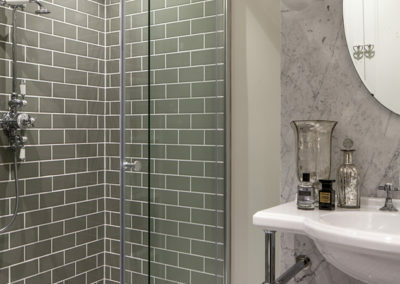 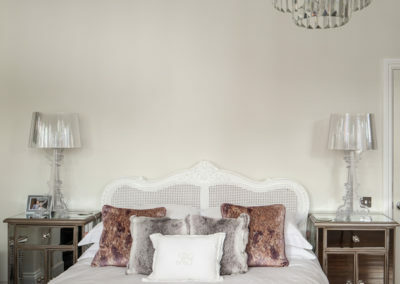 The main focus of the project was a side return and ground floor extension with a reconfiguration of the downstairs living space and also the upstairs bathrooms to offer an en-suite to our back bedroom and a new gorgeous family bathroom. 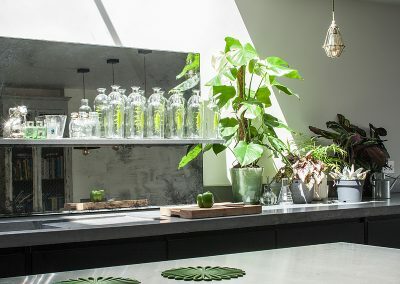 We are absolutely thrilled with our project and it has transformed the way we live and use our home. 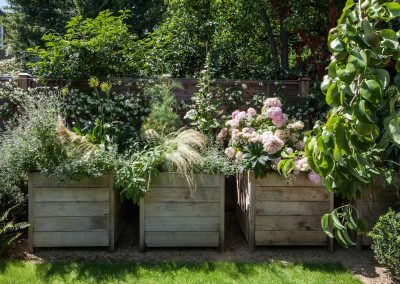 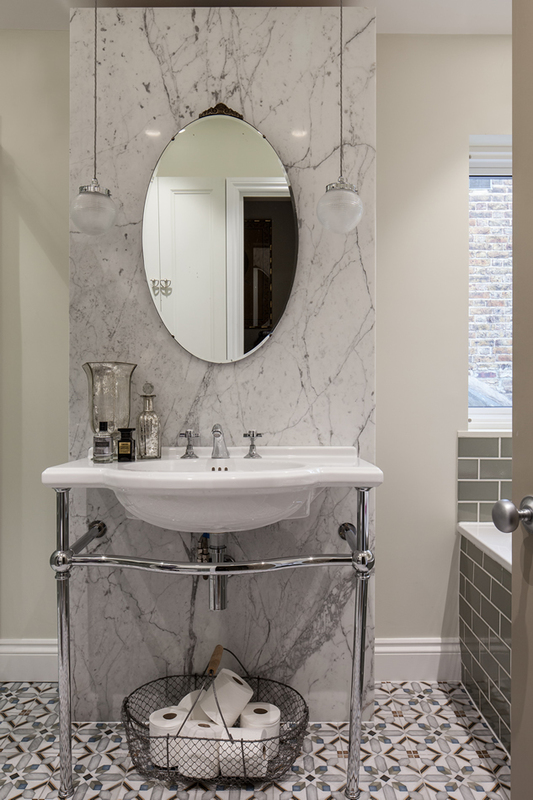 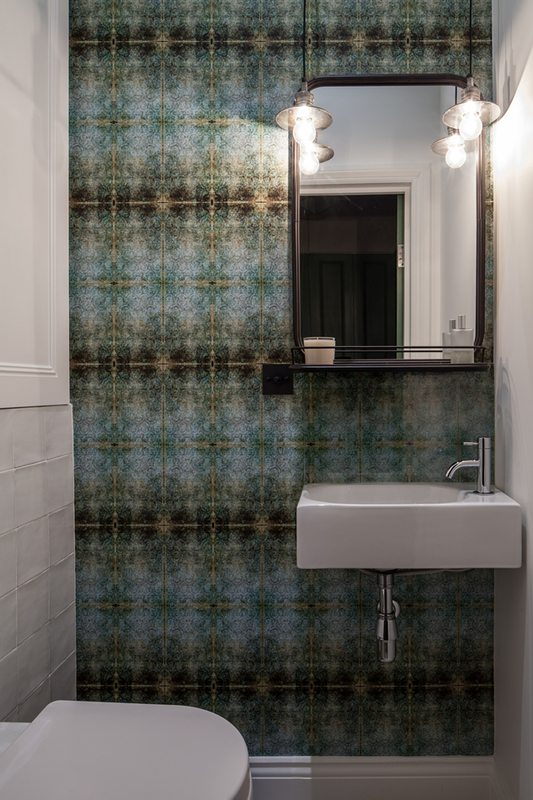 There are so many aspects that we would not have thought about had we not used Trevor, the use of space is so well balanced and the design details were a real partnership between client and architect, which is a joy. 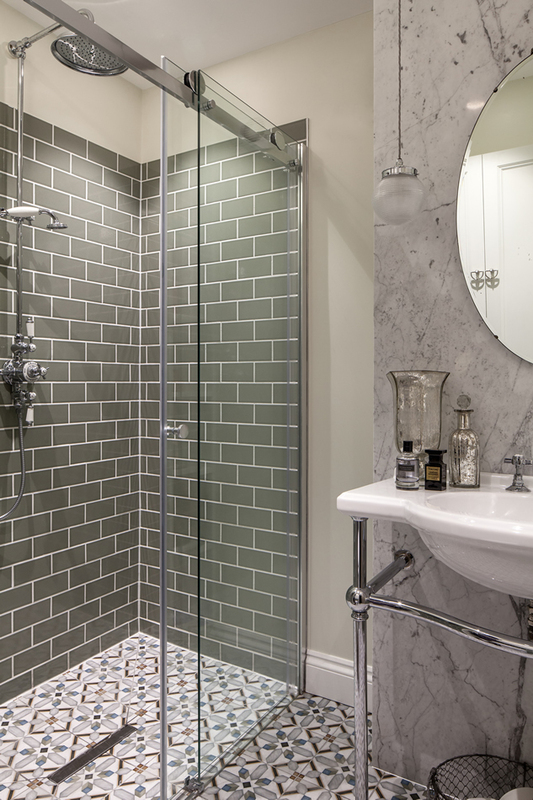 Trevor’s attention to detail and standards matched ours so it was a very successful working relationship. 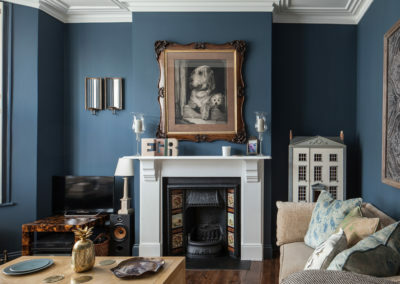 I would not hesitate in recommending Trevor and his services and can only thank him for enabling us to achieve and live in such a stunning house.